Why you ask? 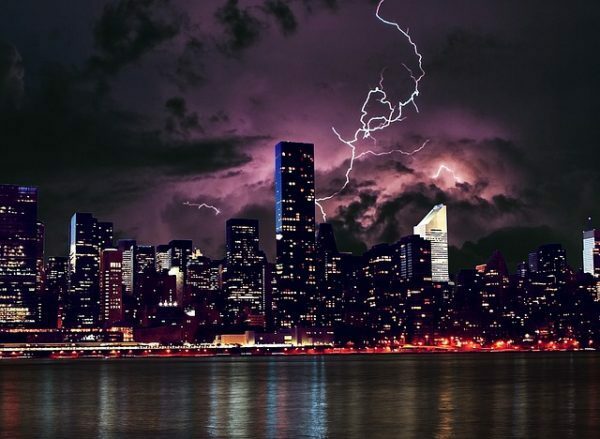 Power surges not only happen when there is a bad storm but can happen in small bursts every day and may damage your electronics and small appliances. If the strength of the surge spike is great, you may be at risk at damaging or breaking your machine. Also, cumulative smaller surges causes damage to electronics, shortening their life and eventually causing them to fail over time. A power surge is a spike in the electrical current flowing through the wires of your home or business. Power surges can come from lightening, blackouts and power outages, internal switching (turning devices on/off), and by downed or damaged utility lines. Surges can enter your home through other data lines, such as your cable feed so it’s important to protect cable modem, routers, and other electronics, not just your computer. 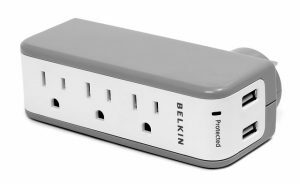 A surge protector absorbs and dissipates the power of a surge, shielding connected equipment, and acts as a first line of defense against any potential damage. The higher the rating of a surge protector, the greater the protection. Make sure the surge protector has been tested by an independent testing laboratory such as Underwriters Laboratory (UL). For more protection, choose a surge protector with a higher absorption rating (the more joules, the better). A lower clamping voltage indicates better protection. A clamping voltage of more than 400 V is too high. One last thing to consider – not all surge protectors are created equal so look for ones with warranties. If you have any questions about surge protectors for your small business, don’t hesitate to contact the experts at The Computer Center. Schedule your FREE evaluation by giving us a call at (608) 755-1524.